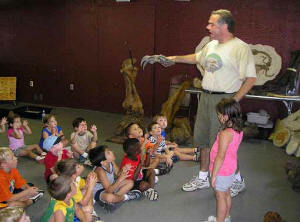 School Assemblies available with grants from BOCES Arts in Education BOCES Arts in Education Program WHY GO ON A FIELD TRIP WHEN…..
DINOSAURS ROCK is a fun and exciting additional educational resource to cultural arts and science programming for over 200 schools in the tri-state (NY, NJ, and CT) area. Over the past 9 years, with significant funding made available for school assembly programs through BOCES Arts in Education grants, many schools have energized their curriculum by taking advantage of funds available from NY BOCES. Our Dinosaur, Fossil & Mineral Arts in Education Adventures complement school curriculum through the visual impact of our museum-quality exhibits and exciting educational content of our performances. 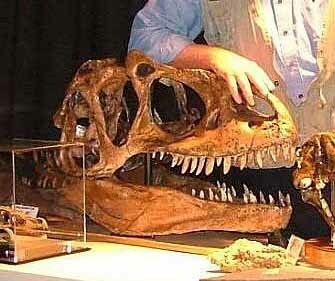 We conduct highly interactive presentations with life-size and genuine fossils and minerals as the backdrop. The art & beauty found in nature will amaze students as they not only view, but actually touch many specimens (5-500 million years old) from our museum-quality exhibits that we set up… right in your school assembly hall, gym, auditorium, classrooms or even outdoors. 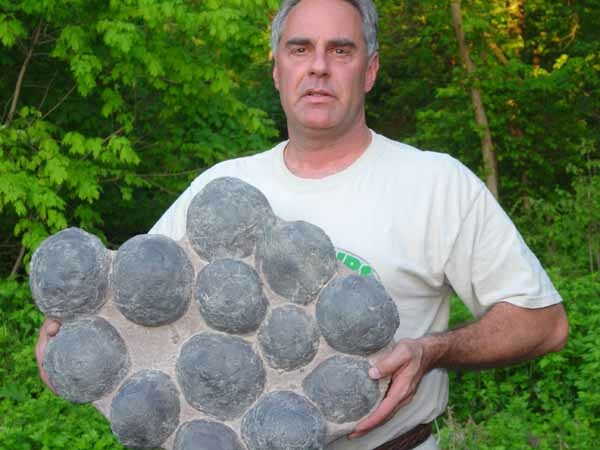 A core element of every Dinosaurs Rock Arts in Education program is the myriad of hands-on projects with real specimens that reinforce our educational content. 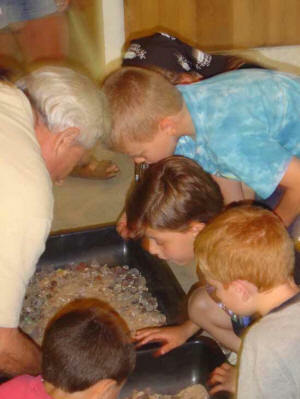 The Dinosaurs Rock Fossil Dig, Panning for Gems and Minerals, Geode Opening are just a few examples of our activity-based approach to learning. We tailor our Dinosaurs Rock Arts in Education programs to meet in School Assemblies, multi-session After School Programs, Science Days or in-class workshops. 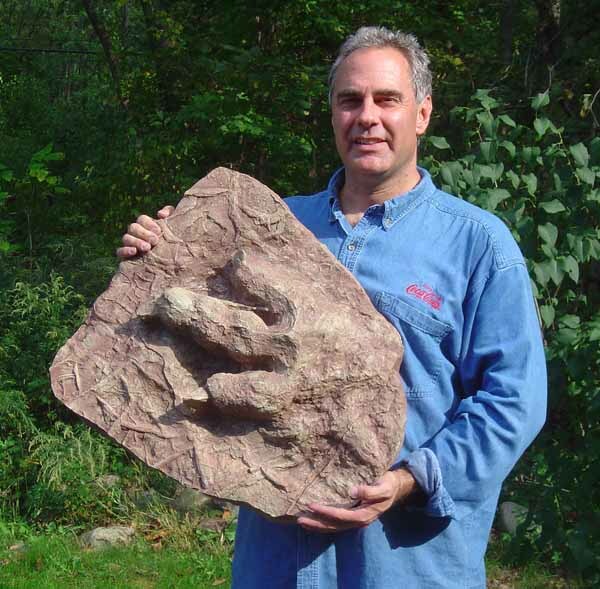 DINOSAURS ROCK programs qualify for New York BOCES Arts In Education grants under New York BOCES Standards I and III.